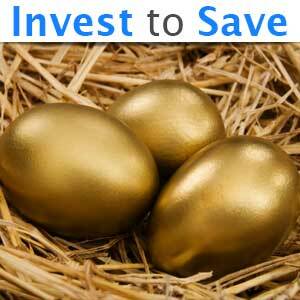 There are some things on which you can invest today to save significant dollars tomorrow. Isn't it a big oxymoron that purchases can help you save dollars? But, it is true. There are some things on which you can invest today to save significant dollars tomorrow. Here are some items on which you can invest now to save more along with some alternatives opting for which you can save your hard-earned dollars. 1. Purchasing a good crockpot - You cannot deny the fact that in spite of having the intention to have home food, you might have ordered a takeout since you were too tired to cook. By doing so, not only you have to spend more but also you might not opt for healthy food. But, if you have a crockpot, then you can simply throw some ingredients into the crockpot before you go to work and can come home and have a healthy dinner at a relatively low cost. 2. Opting for a TV streaming device - Every month, after looking at your cable bill, do you feel that it is really expensive? If yes, then you can cancel your cable right now. This doesn't mean that you will not be able to watch your favorite shows. What you can do is you can opt for TV streaming devices with the help of which you can watch programs in Hulu and Netflix along with other services. There are a number of streaming devices available and you can shop around and opt for the one that suits you the best. Usually, these streaming devices come with just one-time investment, which should not exceed hundred dollars. If you calculate, your cable TV cost might be more each month. 3. Investing in a water purifier - Just calculate how much you need to spend yearly if you buy bottled water. Moreover, you might need to have 2-3 packages every week if you have a large family. Instead of wasting so much, you can purchase a water purifier and attach it to your kitchen tap or invest in a water purifier system for your whole house. If you do not want to invest in a water purifier system, you can simply buy a water purifier and have clean drinking water. Along with it, you can also buy reusable water bottles, to save more. 4. Buying a programmable thermostat - Investing in a programmable thermostat will help you save almost 150-200 dollars every year. These thermostats are designed in such a way that they can adjust to the temperature as per a series of programmed settings according to the temperature fluctuations throughout the day. So, by investing in such a thermostat, you do not have to worry to switch off and on a number of times in a day; you can also maintain your house temperature as per your choice and also save your hard-earned dollars. 5. Last tip on effective purchase - Have you ever thought how much you need to spend on a car and its maintenance? So, if you do not need a car on daily basis, that is, if you live in a city, where there is public transport connectivity, you can ride a bike to your nearest bus stop or train station and avail public transport. However, you might have to buy a bike, if you do not have one. If, occasionally, you need a car, then you can always hire one. By doing so, you will actually save hundreds of dollars on car maintenance and gas cost. Along with investing now for a rewarding future, here are some alternative ways to save more. 1. Saving on grocery shopping: Every month, you can save significantly by buying items, in bulk, which you require more. Before doing so, make a list of the items which you need on regular basis, which will help you choose items in bulk. Also check out the expiry dates on the items and make sure you consume them before the mentioned date. 2. Saving on your heating bill: Do you know that just lowering your thermostat temperature by about 3-4 degrees, you can save about 9-10 cents on every dollar, on your utility bill? This amounts to a significant dollar amount if you calculate on yearly basis. For example, if you have the habit of keeping the thermostat temperature at 74 -75 degrees during the winter months, then set it to a temperature of 70 degrees; usually, it won't be much difference and you will get used to it. 3. Opting for low-cost cellphone plans: Instead of going for a relatively costly cellphone with a mandatory two-year contract, you can opt for low-cost plans offered by some service providers. If you do not use your cellphone much and already have a land line, then you can keep such a mobile phone for occasional use when you are outside. 4. Opting for generic medicines: Prescription drugs are usually expensive than generic medicines. You can also compare medicine prices at your nearby pharmacies to check out whether or not any one of them offer your prescribed medicines at relatively lower cost. Signing up for fitness classes at your neighborhood - Often gym classes come with a heavy price tag. So, instead of joining a gym, you can sign up for fitness classes at your neighborhood recreational center. You can also work out at the comfort of your home. There are a number of DVDs available in the market and you can buy as per your need. This way, you can save on gas and commuting time as well. 5. Saving on shopping: Shopping - nearly everyone enjoys some kind of shopping. It is also a great way to relax with your family while visiting from one shop to another. There are many ways to save on shopping. If you like shopping for branded items, then you can browse the internet to locate your nearby outlet where they offer branded items at discount rates. Moreover, there are definite times, when almost all stores offer discounts, such as, Independence Day, Black Friday, Memorial Day, etc. You can plan your bulk shopping trips during these times of the year. It is advisable that after following these tips, you accumulate your savings separately, and invest in building your emergency fund or in some other account, where you can save in order to make an expensive purchase. By doing so, you do not have to load your credit card for an expensive purchase, and in turn, it will help you manage your finances effectively.